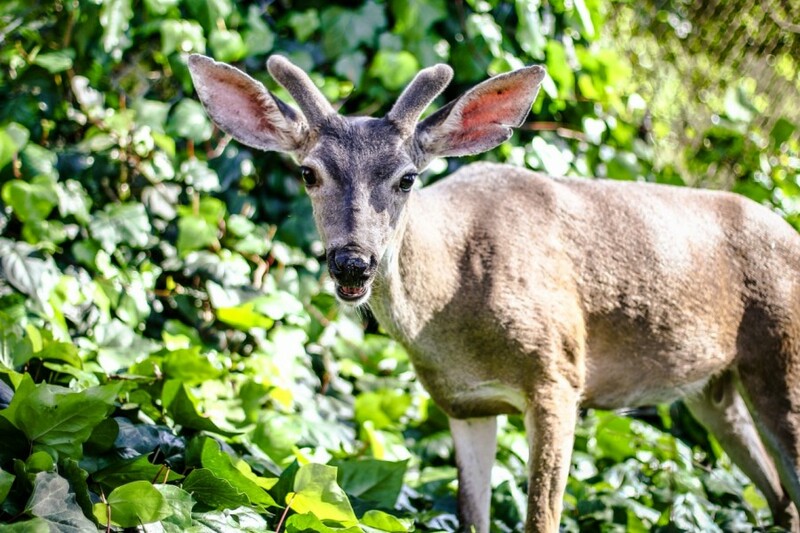 Coming from Singapore, I’d never really seen wild deer before coming to Berkeley. Unlike a lot of people here, I find the squirrels of Berkeley absolutely adorable. Everywhere I look there is wildlife to be found. I love that I am able to walk out of my dorm and within a few short steps I can hear birds chirping, squirrels scuffling and turkeys gobbling. I take these pictures as a reminder to myself and to others that it is okay to stop for a moment in our busy lives, and just take a moment to look around and appreciate the nature around us. 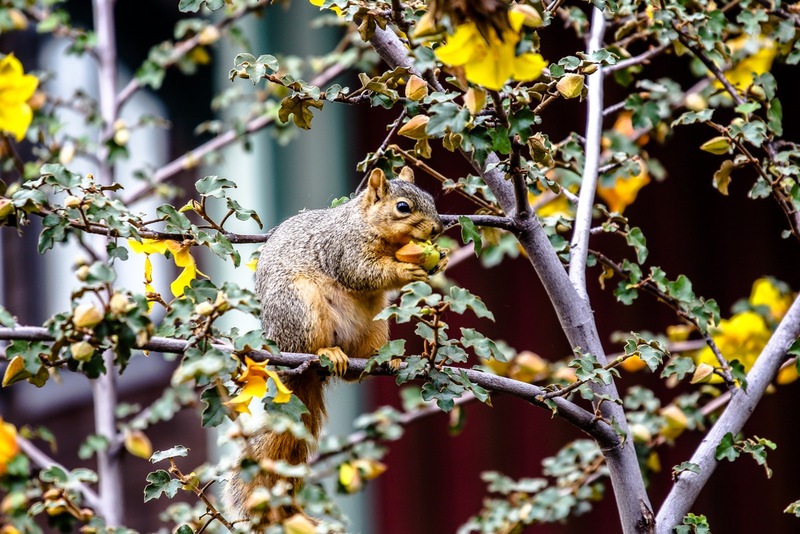 A squirrel is seen eating seeds on a tree. 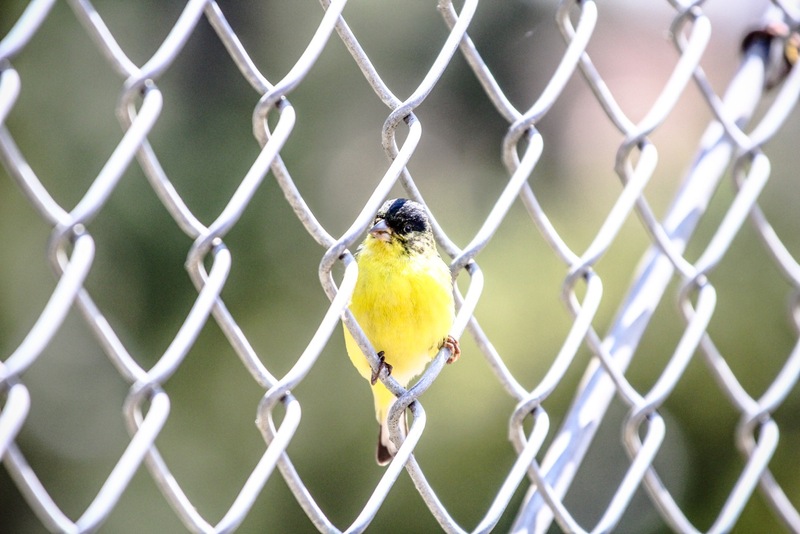 A yellow finch fits perfectly into a fence. 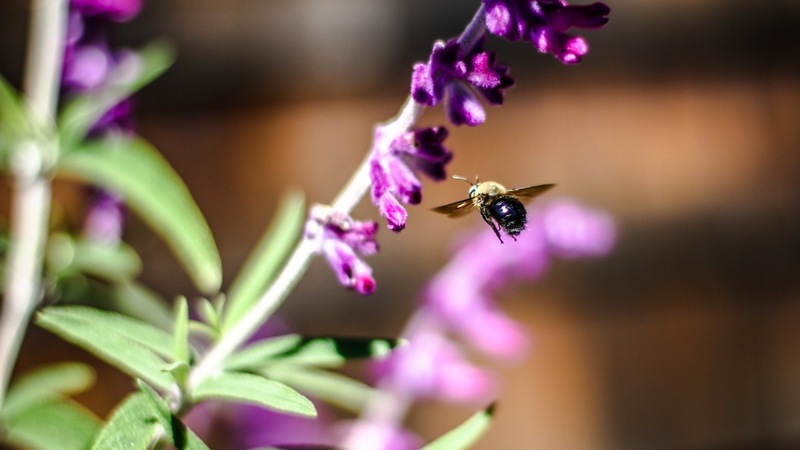 A bee flies around a flower. 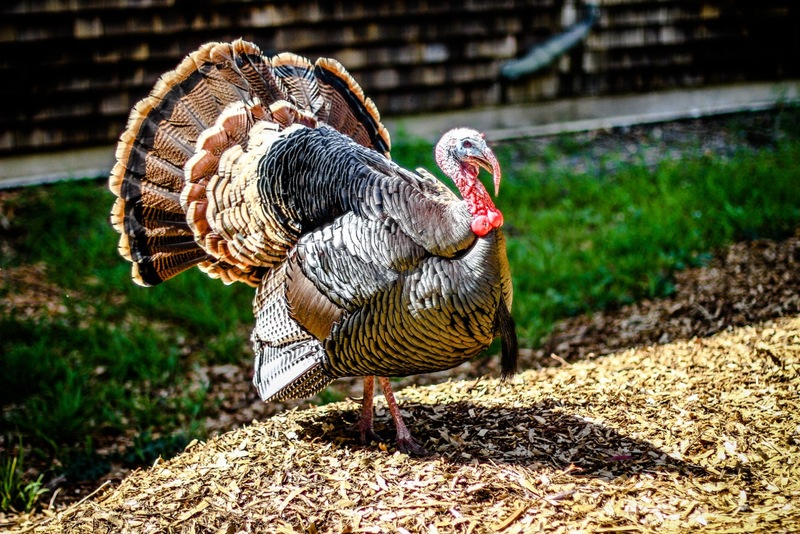 A turkey shows off its plumage. 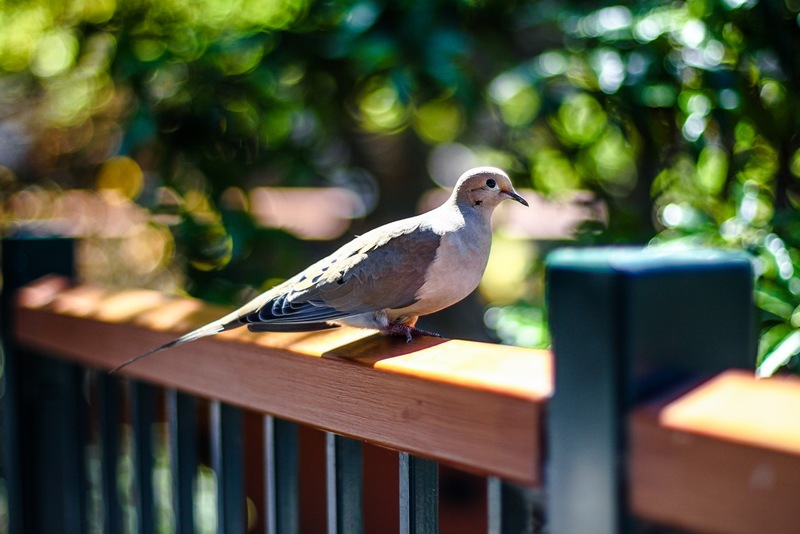 A dove stares into the distance. A deer stares back at me startled. 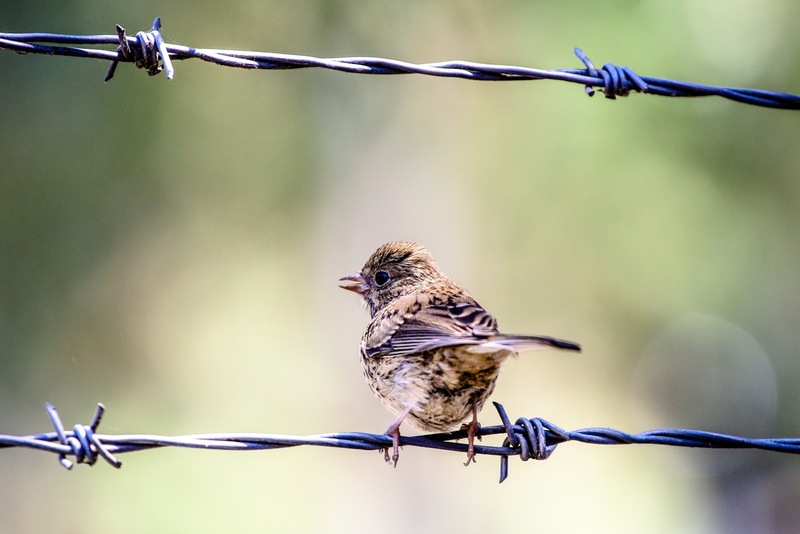 A sparrow perches happily on some barbed wire.